With only a few days left until Santa slides down your chimney, we wanted to give everyone a reminder of all the great holiday activities there are on the Mississippi Gulf Coast. Each activity is great for kids, and just as fun for couples looking for a festive night out! Now in its third year, the Gulfport Harbor Lights Winter Festival is one of the largest light festivals in the surrounding area, and the decorations throughout Jones Park are simply magical! 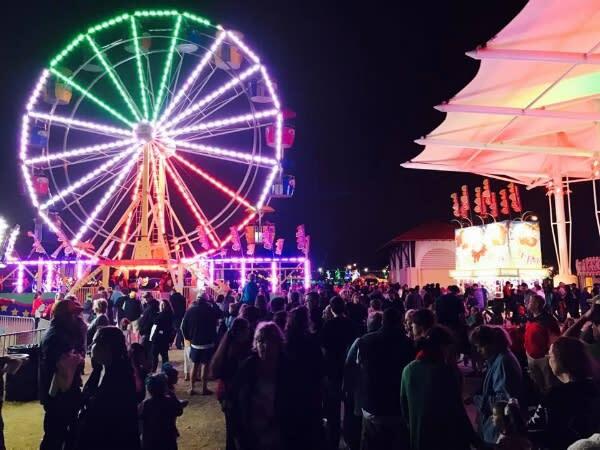 With a ferris wheel, a carousel, a train and a skyracer, adults have plenty of fun rides to choose from, while smaller children can be merry on the Hollycopter or the smaller train. Santa’s last day to take pictures before he goes back to the North Pole will be Saturday, and the pictures are FREE with admission! This is one festival that is more than worth the price of admission, and should only get better in the coming years! Step inside a life-size snow globe at the Beau Rivage Theatre for a live show featuring real snowfall, ice skating and more! Tickets prices are as low as $7.50 each, and the whole family will surely love this holiday experience. Afterward, you can take everyone to the Biloxi Town Green to see the lights for free! 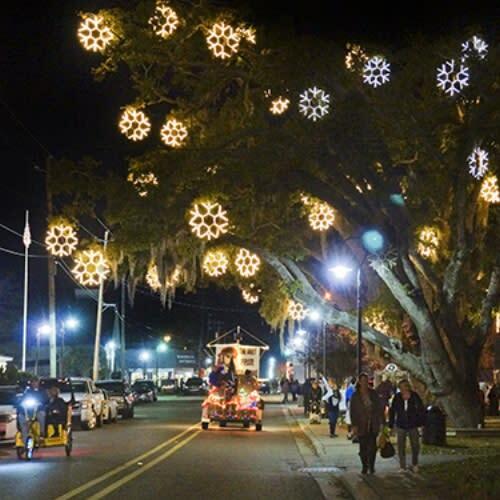 On the nights of the 22nd-24th, there will be various happenings around Bay St. Louis for the town’s “Snowflakes in the Bay.” Between selfies with Santa, a live music show, an art show and various shopping deals, Snowflakes in the Bay is a great way to support local art and businesses, all while taking in the beautiful scenery that downtown Bay St. Louis has to offer! What better way is there to get in the holiday spirit than by practicing that double axel? 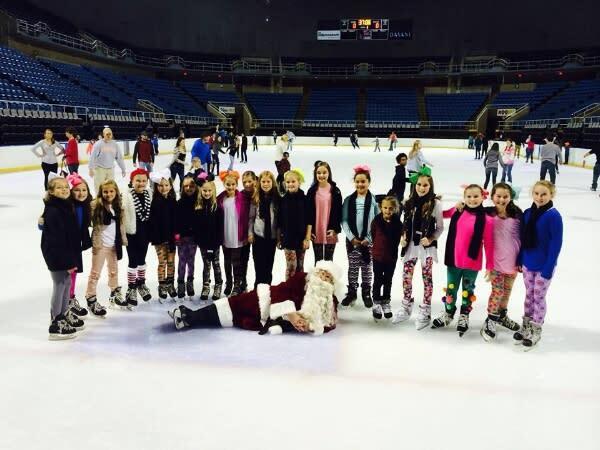 The Gulf Coast Coliseum is the only place on the Mississippi Gulf Coast that offers ice skating, so be sure to get over there for some family fun! With multiple sessions offered every day (with the exception of Christmas day) through January 6th, you’ve still got plenty of time to hit the rink!